Flip any product’s packaging over and it’s more than likely that you’ll see the words “Made/Assembled in China”. In a 2015 article by The Economist, it was reported that China produces about “80% of the world’s air-conditioners, 70% of its mobile phones and 60% of its shoes”. There are also 99,250,000 manufacturing-related jobs in China, making up 13% of the country’s labour force, and explaining how it received its ‘manufacturing powerhouse’ identity. Now, let’s think about us in Singapore – what are we usually known for? Save for the ban on chewing gum that every tourist seems to mention – we’ve been catapulted into the world’s spotlight thanks to our academic achievements. Take for example, our ‘inspiring’ mathematics curriculum that has educators overseas exclaiming “Wow!” and local students muttering “Why?”. But what about our manufacturing sector? We’ve been told, since our early years of formal education, that we’re a small country without natural resources, and that our greatest resource are our people. It’s because of this mentality that it’s always both a shock and pleasant surprise whenever we find out that a product we purchased was actually made in Singapore. Turns out, we do have a good number of awesome ‘Made in Singapore’ products that we can be proud of! Here are some of them that we bet you didn’t know about until now. 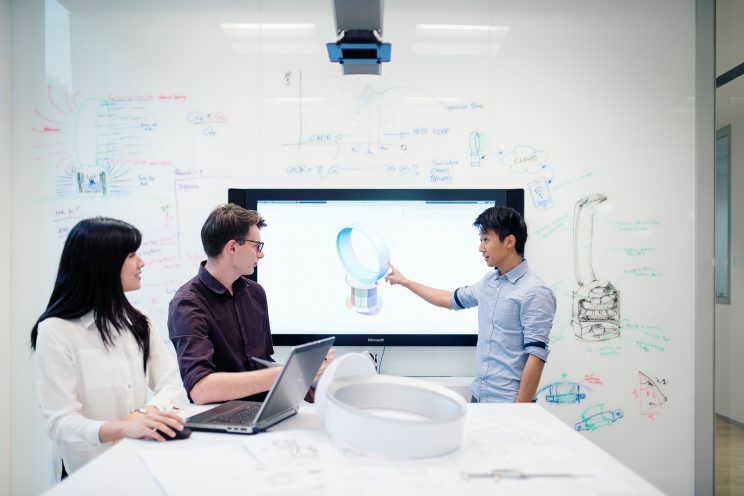 British-based manufacturer Dyson has acquired a cult-like following in the recent years, and not just thanks to how its products look cool and futuristic – the products have gotten great reviews as well. In particular, its Supersonic hairdryer has received rave reviews from beauty gurus and regular people all over the world in spite of its hefty price tag. The hairdryer uses the same Air Multiplier™ tech as the bladeless fans, a product that has made appearances at many, many electronics roadshows at malls around Singapore. 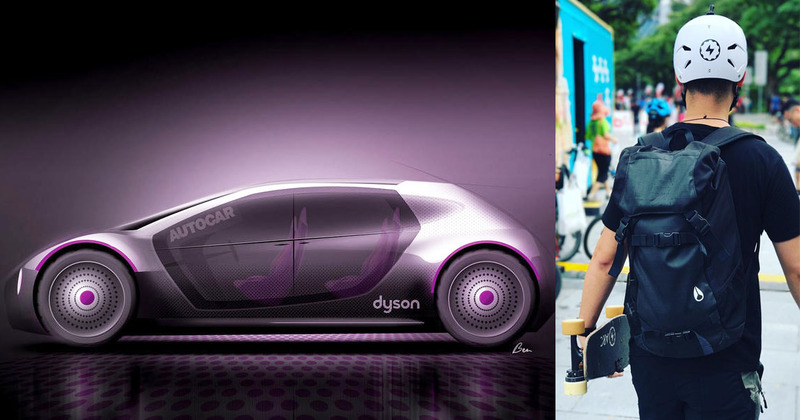 But perhaps the product that propelled the brand to household name (and it to multi-billion company status) is its vacuum cleaners, created simply because of the “lifelong hatred” that founder James Dyson had for vacuum cleaner dust bags. Dyson’s magic comes mainly from digital motors that promise more power albeit being smaller and lighter than conventional motors. And did you know that these motors are actually being made in a Dyson motor plant right here in Singapore? After setting up an office in Singapore in 2007, the company injected an investment of $100 million and set up the West Park plant in Tuas in 2012, and in 2015, was reported to make 4 million of these motors a year! In 2015, the company also topped up its initial investment by another $100 million to double the size of the plant to 143,000 sq ft and increase the yearly production to 11 million units so as to keep up with global demand. 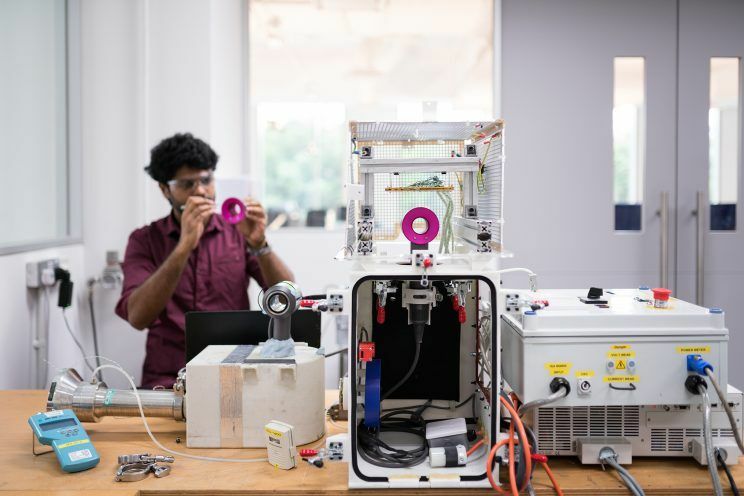 While Dyson’s main global factory is in Malaysia, Singapore was chosen to produce the motors because of a highly-skilled workforce and strength in high-precision manufacturing. Strong intellectual property protection laws and logistics infrastructure were other reasons cited for the choice of location. In Feb 2017, the company further firmed its operations in Singapore by announcing the launch of a new $587 million R&D Centre in Science Park to support its move into the Smart Homes market. Plans to grow its staff strength were also announced then, including 190 jobs to its advanced manufacturing team, and another 160 positions for research scientists and engineers. 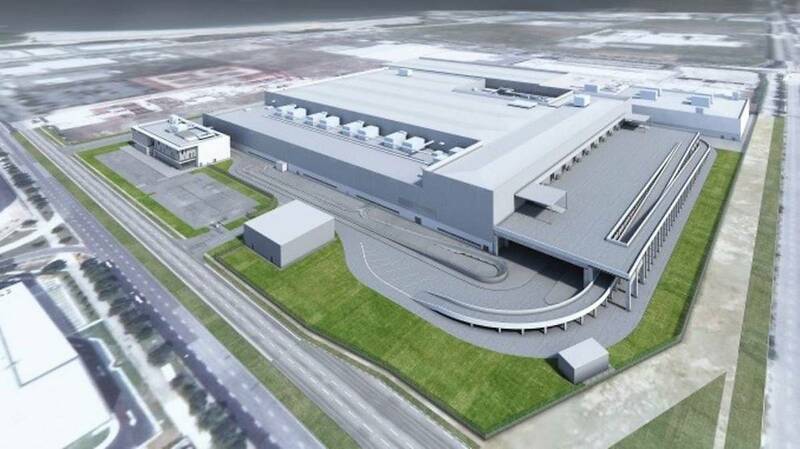 Last year, Dyson also announced that it was building its first car manufacturing plant in Singapore, as part of a £2.5 billion (~S$4.4 billion) global investment in new technology, in which it’s focusing on manufacturing and assembly. The 2-storey facility is slated to be completed in 2020. A few days ago, it also revealed that it will be moving its corporate head office to Singapore to “reflect the increasing importance of Asia” to the business. And the good news? They’re actively hiring. If HOPE Technik sounds familiar to you, that’s because we’ve covered them in an article published in 2017! 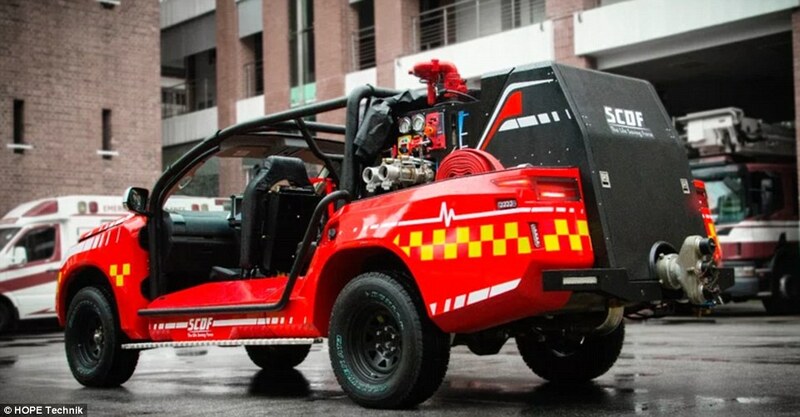 Founded in 2006 by 4 Singaporeans, the homegrown engineering firm is best known for its production of Red Rhino and hazmat control vehicles for the Singapore Civil Defence Force (SCDF). With the support of the Singapore Economic Development Board (EDB), it also beat out global engineering firms in 2012 to clinch a multimillion-dollar deal with Airbus to build a research prototype plane that could take passengers to the edge of space. Its success so far had even caught the attention of Prime Minister Lee Hsien Loong, who singled them out during the National Day Rally in 2016 as a prime example of an SME that was building new capabilities in an economy defined by disruption. The firm also produces drones – some of which were featured during the National Day Parade in 2016. In an effort led by the Ministry of Defence (MINDEF)’s Future Systems Technology Directorate, 8 of HOPE Technik’s unmanned ground vehicles (UGVs) launched 8 unmanned aerial vehicles (UAVs) in a coordinated sequence as human performers danced under them. But don’t get it wrong – these drones weren’t created for entertainment purposes, but for reasons ranging from surveillance to inspections and even stock-taking. 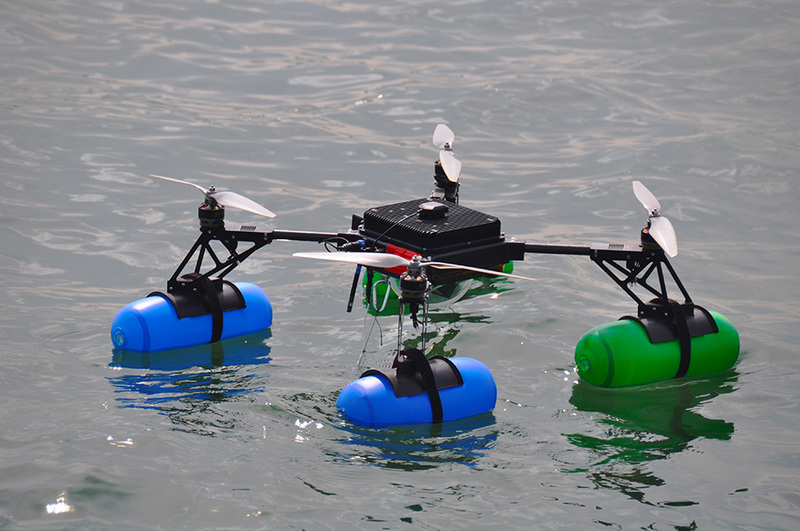 For example, HOPE Technik’s Water Spider UAV is even said to be “the drone equivalent of a Navy SEAL”. Navy SEALs are the United States Navy’s primary special operations force, and its members are known to undergo “toughest military training in the world” so as to effectively operate at sea, in the air, and on land. Just like a SEAL, the Water Spider is versatile in terms of where it’s operational. It has the ability to take off and land on sea surfaces, and can remain in the air for extended periods of time to ensure there is no disruption to operations. It can also fly in wind speeds of up to 20 knots (think: a breeze strong enough to move small branches on a tree), and cameras attached to its body allows operators to view real-time transmissions of images or videos captured. With its first overseas office opened in Guangzhou, China in 2017, HOPE Technik is growing well beyond our shores, yet firmly staying rooted to home. When Singapore-made electric skateboard Arc Boards appeared in the comments of a forum thread titled “So I decided to buy a cheap chinese knockoff instead of building a board […]”, its owners came out to clarify that the board was “not just another chinese eboard”. Our 3-man team is based on the sunny island of Singapore (South East Asia), and the Arc Board was designed and produced in Singapore. “We have a lot of pride in our work and we hope you understand that we would want to clarify this point. 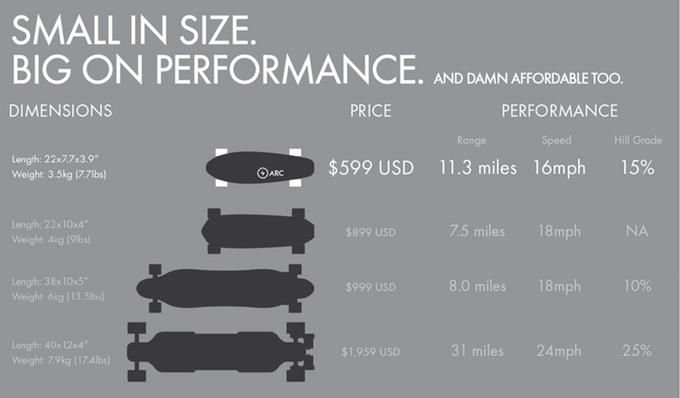 There are many cheap alternatives to electric skateboards in the market, but we believe the Arc Board would prove to be more reliable, and more spec-ed out comparatively,” added the post. The comment was posted in June 2016, four months before we covered their successful Kickstarter campaign – one which scored the team over S$110,000 in funding pledged. Perhaps one of the reasons of its success is because of how portable and affordable it was as compared to other electric boards in the market then. Created by a Singaporean trio, the Arc Board was a project 2 years in the making, with the team working on it on weeknights and weekends while still holding onto their full-time jobs. The inspiration came when they wanted to create a “practical, portable automated last mile vehicle that they themselves could use” – something like how bike-sharing companies help some to fulfil the need. However, taking it from idea to reality wasn’t that straightforward, as they struggled to balance a small-enough battery for range with a well-rated motor for speed and torque. “We tested over 30 battery and motor permutations, before finally settling on what we thought was the ideal configuration,” shared one of its co-founders with us in an interview. Last year, the team launched another Kickstarter campaign for their newer and larger 121C Arc Aileron board. While not garnering as many backers as the first round’s (probably because of the higher price tag), it concluded a successful run with over $91,000 pledged by 94 backers. More recently, there was also a teaser for Razer Chroma-powered Arc Boards! 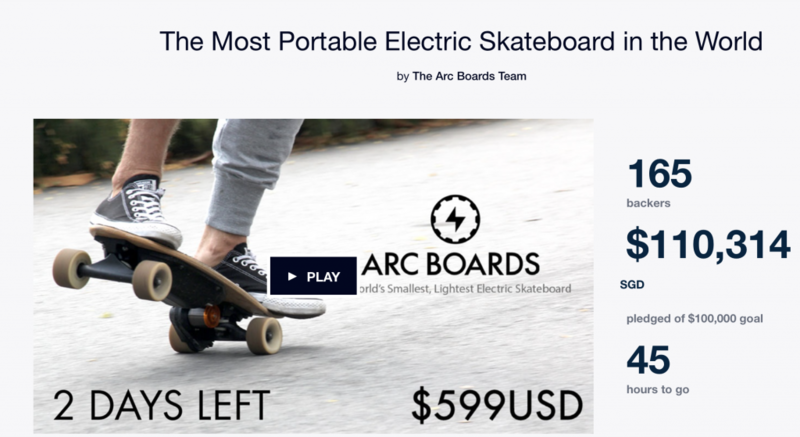 With last mile solutions and electric vehicles quickly gaining popularity among city dwellers (think of the sheer number of e-scooters on the road), Arc Boards has a chance for longevity in the growing market once they manage to convince consumers that skateboards are the right way to go. Singapore’s manufacturing output is nowhere near powerhouses like China or even our next door neighbour Malaysia, but that doesn’t mean that we don’t have the ability to. In fact, as seen in the example of Dyson, our strengths in terms of a highly-skilled workforce, strong intellectual property protection laws, and logistics infrastructure are actually a huge reason as to why some companies opt to manufacture products and their components here. What this means isn’t just that we’ll have more open positions on the manufacturing line – engineering and research positions would also be increasingly in demand in the bid for better, cooler, and even more efficient products.